Medalist of the varsity meet was Viking Jay Fjelstul with a 42 on the par-36 course. Jared Holthaus provided at 50 while Sam Jermier shot a 54. Touring the course for a 55 was Jackson Rolfs to complete the team score. Also, on the course were Blake Donlon with a 57 and Nate Rolfs with a 59. Decorah fell in the JV meet as well, 201-231. Medalist with a 45 was Charles City’s Cade Schmitt. Leading the way for the Vikings with a 50 was Dakota Swatek. Carving out a 54 was Baylor Bohr, while Landan Folkedahl came through with a 63. Rounding out the team score was Noland Jostand’s 68. Other Decorah scores were Jackson Rollins (64) and Jacob Voigt (86). 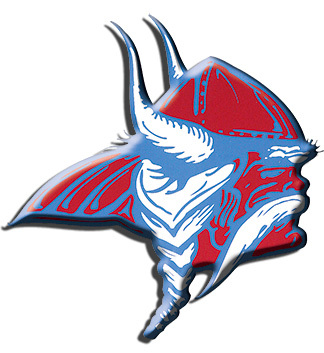 Monday, the Vikings were at Waukon and tonight, Tuesday, April 16, it’s a rumble in the county with South Winn and Turkey Valley as Decorah travels to South Winn Golf & Country Club for a triangular at 4 p.m. Continuing the action, the Vikings will hit the links at Oelwein Thursday, April 18, at 4 p.m. and take part in the West Delaware tournament Saturday, April 20, at 10 a.m.